We see images every day. We are captivated by they. However many are fake. Lets look at some of these. This first is amazing. 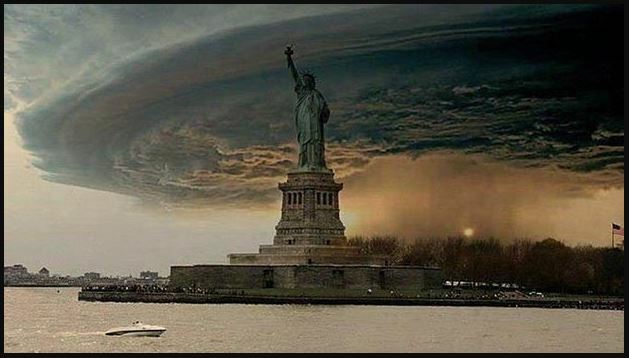 Do you know that it is hurricane Sandy with New York Super Imposed. This is an Iran rocket launch. Apparently when displaying your power you don’t want to show failed rocket launches so they doctored up the fourth one. This is benito Mussolini bravely sitting on his horse. Apparently you look more impressive when the trainer is not holding the horse by the mouth. The next is one of my favorites. This is Joseph Stalin. The guy on his right is/was a commission that fell into disfavor. He disappeared. But it does highlight something. You know immediately its not right. Why? Because you know what my family should look like. You know something is missing. When confronted with fake, the best way to identify it is to know the real. In today’s passage Timothy is advised on false teaching. People have always had a fascination with altering things, images or truth. It’s no different with Scripture than it is pictures. When it comes to teaching, prayerful dependence on God’s word protects against falsified doctrines. We are going to see several things that will help protect us from false teaching. Lets look at three things in this passage about false teaching. Now the Spirit expressly says that in later times some will depart from the faith by devoting themselves to deceitful spirits and teachings of demons. The point is clear that there will be both people who abandon the faith and teaching contrary to Scripture. If you went back into ancient Rome and the time Paul wrote this letter you would find all kinds of beliefs circulating. The Roman’s had their pantheon of Gods: Jupiter, Mars, Apollo, Mercury. Rome had conquered others nations like Greece that had their own pantheon of God. When Rome conquered a nation they required you to sacrifice to the Roman Gods, and most importantly to Caesar as God. But this sacrifice was not in exclusion to your gods. You could keep your gods, you just had to add Caesar into the mix. It was pluralistic in that many ways were accepted. This was a dominate religious belief. There were also the philosophers of the time like the stoics who believed in divine fate and an impersonal God, and epicureans who emphasised enjoying the pleasures of life. You had other religions like Jewish myths and ascetic teachings getting mixed into the church. The problem mentioned here is probably connected to some type of asceticism where you deny yourself certain things and that is how you are accepted by God. Don’t get married. Don’t eat those things and you will know God, be accepted by him. Contrary to Christ. You would have walked out the door and been confronted by all kinds of people with all kinds of beliefs. It’s not unlike today when you go out and meet people from different places, with different gods and different philosophies. Sometimes you can feel surprised by this. Where did it all come from? But it is nothing new to the Christian faith. V1 says “In later times some will depart from the faith” but by verse 3 Paul is speaking in the present tense about things happening in the Ephesian church at that very moment. The later times have begun! If they were later times then so are we. We experience this now. Paul points out that the Spirit has clearly taught this and could refer to a prophetic word uttered by an apostle or another in the church. But it is also clearly in line with what Jesus said. The parable of the sower talks about seed that fell in rocky soil, “And the ones on the rock are those who, when they hear the word, receive it with joy. But these have no root; they believe for a while, and in time of testing fall away.” (Luk 8:13 ESV). It has been present throughout the history of the church and continues today. You have the Pelagian doctrine that believes man was created good and still retains that moral goodness even after the fall. It denies that human nature is guilty and corrupt. There are people who deny the doctrine of Hell. REcent teachers on this include Rob Bell who thinks love only wins if there is no hell. It doest believe the Christian doctrine of hell, which is one of the ways God’s love becomes so amazing and stands as a an example for how we are to love others. The doctrine of universal atonement. 35% of evangelical seminarians agree with “God will save all good people when they die regardless of whether they’ ve trusted in Christ! The effect of this teaching is that people abandon the faith. That is a sobering reality, and if you have been a Christian for any amount of time you know how sad and discouraging it can be. False teaching is going to come, and people will turn from the faith. When people abandon the faith it should not surprise us. It should grieve us. It should warn us to take our faith, life, and doctrine seriously. But it should not surprise us. This does get into a bigger issue. Christians have debates how is it possible to lose your salvation. When people get into debates about this the first question you have to ask is, “ What do you mean when you say lose your salvation?” If you are speaking in regards to God election in eternity and his foreknowledge that he know those who will believe and endure to the end, then no you cannot lose your salvation. But only God knows this. Now if you mean lose your salvation in terms of what we see with our eyes, that we see people profess their faith in Christ and then they turn and reject what they once claimed to believe then yes you can lose it; just like those who walked with Moses out of Egypt with blood on their doors but in the desert they turned and went back to Egypt (Heb 3:12). Just like Paul mentioned Hymenaeus and Alexander (1 Tim 1:20) who rejected their conscience and abandoned sound doctrine, shipwrecking their faith. A profession of faith is not a magic talisman that you wave and say I said a prayer at three and now Jesus has to save me regardless of how I lived. That is a false hope. It’s a false doctrine. You have to adhere to Jesus. What is really behind this teaching? Have you ever watched a movie that has the surprising twist at the end and a character who you like ends up being someone else. We recently watch a movie called Miss Peregrine's Home for Peculiar Children. Basically a kid with special powers ends up in a different world with other kids with special powers and only his special powers can save everyone else. Toward the end of the movie the kid is going somewhere and a harmless ordinary looking guy that has appeared in several scenes approaches him (in a dark cave). You think something is up and suddenly he changes he is really the evil villain with crazy eyes played by Samuel L Jackson. Then he reveals different people he has been disguised as throughout the movie. That is what Paul does here. He takes the mask off false teachers. He says there teaching is of lying spirits and teaching of demons. What lies behind those well to do teachers, the ones with the goodlooks, nice families. It is demonic and attempting to take you away. What Paul says here is different than when he is talking with the people and trying to reach them. When he was in Athens, and we studied this a few months ago, he reasoned with the people. He agreed with some of their points. He quoted their poets and popular culture. But he countered it where it failed. It’s like he quoted from the Harry Potter and then showed its weakness. We should reason with people, but don’t be deceived at what is behind it. It is a bit offensive to say, “You are following the teaching of demons.” Now everyone has to square with this. Every religion has to face it. If you believe evil is in the world, and everyone knows it is, then you have to deal with how do you know good from evil, and if evil is trying to derail me from God’s will, then the height of evil would be to ply me away from God’s word or discredit God’s word. This is what happened in the garden. Satan caused Eve to doubt and disobey. Teaching of demons. If a person is advocating something as the word of God and it is not the word of God then what is it? Where does it come from? People don’t like to hear that. I don’t like to say it, but what else is it. When different books claim to be the word of God you know there is a problem. They say different things and can’t all be right. We believe the Bible is the word of God becaues its prophetic nature that makes claims and they happen. Its moral purity that instructs us on how to live. The holistic worldview that it helps us understand the world. But the problem is not just outside the church; it’s also inside. Deceiving Spirits v1. Jeremiah 23:32 Behold, I am against those who prophesy lying dreams, declares the LORD, and who tell them and lead my people astray by their lies and their recklessness, when I did not send them or charge them. So they do not profit this people at all, declares the LORD. (Jer 23:32 ESV). These were people who came cloaked as leaders of God’s people. Some false teaching comes from within the ranks of the church. As our culture recoils from Christianity, we need to say that what they heard taught in the church may not have been true Christian teaching. In fact a lot wasn’ t. We need to continue to dive into God’s word, and let it guide us as a church. I grew up in the south, and am so glad to be back. I love that my neighbors wave when they go by. I missed that. But I have also realized there is a cultural Christianity here in the Bible belt, people familiar with Jesus but not really committed. That is a big part of our challenge as a church. We constantly need to push back on that. Lets not buy into it. We are to worship Jesus with our all, holding nothing back. The goal of this teaching is to separate you from God. They depart from their faith. Deuteronomy 4:9 "Only take care, and keep your soul diligently, lest you forget the things that your eyes have seen, and lest they depart from your heart all the days of your life. Make them known to your children and your children's children-- (Deu 4:9 ESV). There are voices out there trying to separate you from God just as Satan did to Eve.It might come in the form of a demon appearing to you, it might come in the form of tv commercial telling you this is how you ought to live, it might come in the form of a Bible study teacher, or even a pastor. You have to be on your guard. Know the word. Know its true nature; know what lies cloaked underneath. Stay devoted to God’s word. You realize that everyone has an ultimate in their life. Everyone has a standard that they use to determine what is and is not acceptable. For some it is science. If a study has been conducted and empirically proven something then that is what I will believe. There is something useful to that and seeing an act, but it is insufficient in many ways. What is safe changes all the time because of differences in observations. Use nutrasweet instead of sugar. Nutrasweet causes cancer. Use splenda. Splenda causes cancer. Alfalfa helps joint pain; Alfalfa causes arthritis. Errant teaching can often be detected by giving an insufficient worldview. It’s from a little god and not an all knowing God. SCience is helpful in many ways but we can’t derive morals from it. We can only tell what is. It never provides a basis for why we shouldn’t do things. Its an insufficient ultimate. For christians the ultimate is the word of God. What we do is consecrated by the word of God and prayer. It is a two fold way that we know how to trust and please God. These false teachers were hindering marriage, not letting people marry. They were denying certain foods. Holding this out of the reach of others. Probably saying that by doing these and other ceremonies you are made right with God. Those who didn’t know the word well were being led astray. The way we identify false doctrine, like false images, is to know the true very well. That’s how you can tell which are fakes. We need to know God’s word. It sets us free from false teaching. On trial for his life, but he would not abandon the Word of God. It was his only rule for life. It was how he knew God. We are captive to Scripture and Scripture alone. We also devote ourselves to service of God. Prayer. Lord, I commit this to you. When we know something pleases God we commit our way to it. Commit your work to the LORD, and your plans will be established. (Pro 16:3 ESV). I could take this job or that job. What do I do. Lord, I’m committing this way to you. Your word says I can do it. I now commit it to you you. It is made holy through the word. The word spells out how we honor God. It points us to the way that we should live. When the word says we can do it we do it with confidence. When it says don’t do t we don’ t.
We too are made holy through the word of God, the Incarnate Word of God. and through prayer, confession of our faith in Christ. Confession of our sins. Confession of our allegiance to Jesus. 1 Corinthians 6:11 And such were some of you. But you were washed, you were sanctified, you were justified in the name of the Lord Jesus Christ and by the Spirit of our God. (1Co 6:11 ESV). In Christ we are made clean before God. We don’t need ceremonies, we don’t need denial of food. We don’t trust in other teaching or philosophies. We trust in Christ and the doctrine that points to him. This is what brings life. It is what all others need to hear. When challenged by false belief, when we devote ourselves to wrong teaching, when we put things above Christ, we see the greatness of the gospel in that it keeps providing a way back. We are cleansed, we see the gospel is greater than false teaching, we see why we devote to it. What was the false teaching Paul confronted? What is the false teaching you confront most often? What can you do to better understand sound doctrine? What can you do to better discern false teaching? How can you make sure you are following God in all that you do?